Globally, the payments industry is migrating from magnetic stripe bank cards and infrastructure to EMV chip cards and infrastructure to improve the security of bank card transactions. EMV is an open-standard set of specifications for smart card payments and acceptance devices. Eighty countries globally are in various stages of EMV chip migration, including Canada and countries in Europe, Latin America and Asia. In August 2011, Visa announced plans to accelerate chip migration and adoption of mobile payments in the United States, through retailer incentives, processing infrastructure acceptance requirements and counterfeit card liability shift. This announcement is expected to accelerate the move to EMV and mobile contactless payments. 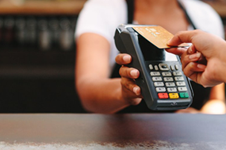 The Smart Card Alliance EMV for Merchants and Acquirers Webinar provided a primer on EMV for U.S. merchants and acquirers. Webinar panelists discussed the changes that merchants and acquirers will need to make to support EMV and provide guidance on how to start migration planning. The webinar featured implementation lessons learned from a Canadian acquirer.